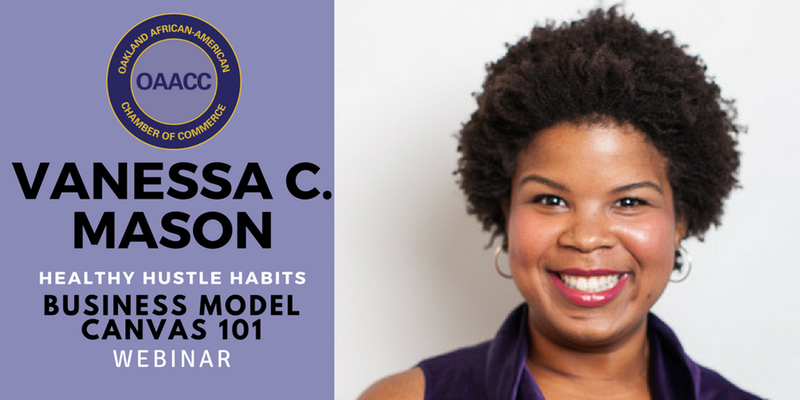 Join the OAACC for our very first webinar series featuring Vanessa Mason, CEO and founder of Riveted Partners. Vanessa coaches professionals to improve productivity and performance through improving productivity habits and launching side hustles. Healthy Hustle Habits: Business Model Canvas 101 helps participants learn how to use a business model canvas tool to define your customers, get clear on your important and urgent needs, and accurately define your operational market. This webinar will enable you to walk away with key action items to move you from passion to profit faster, cheaper, and easier. Join us from your home or office Wednesday, February 20th from 12:00 p.m. to 1:00 p.m.